The first formal effort of the SJN Action Committee was to draft a letter to our US Bishops prior to the Fall Summit. The Action Committee worked hard with our Parish Council to create a letter that was representative of our community’s concerns, and received 600 signatures in one Sunday. The letter was initially addressed to Cardinal DiNardo, and copies were also sent to our Bishop Burbidge and the Oblate Provincial. We were disappointed by the Fall Summit and turned our attention to the February meeting of Bishops with Pope Francis. Bishop Burbidge responded to our letter and advised us to directly address our concerns to Cardinal Cupich. We drafted and sent a similar letter to Cardinal Cupich, again outlining our efforts and our deep concerns in anticipation of his February meeting with Pope Francis. We, the undersigned members of Saint John Neumann Catholic Community in Reston, Virginia, share our plea with you, our bishops gathered for your Fall General Assembly, regarding the ongoing crisis within the Church over sexual abuse and the failed accountability of bishops to the rest of the Church. We are heartbroken at these developments and recognize that they are symptomatic of a deeper sickness in our Church. With the Church’s brokenness so obvious, we all are responsible for bringing healing to our Church; we all must be light in the darkness. Through our baptism, all of us belong to the priesthood of believers to whom the mission of the Church has been entrusted. However, we continue to see more of the same. The upcoming bishop’s assembly in November 2018 continues to be closed door, without input from laity. We urge you, our assembled bishops, to open your doors now, to hear the voices of the people, and consider the following Recommended Guidelines and Recommended Steps. Address these horrific sins with complete honesty. The victims should be the ones telling the story. It is only through the full expression of their pain and hurt that our Church can begin to be reconciled. Now is the time for complete transparency. Demonstrate confidence in the people of God, guided by the Holy Spirit, by disclosing the full truth, not selective reports of information and details. Do not tolerate scapegoating. 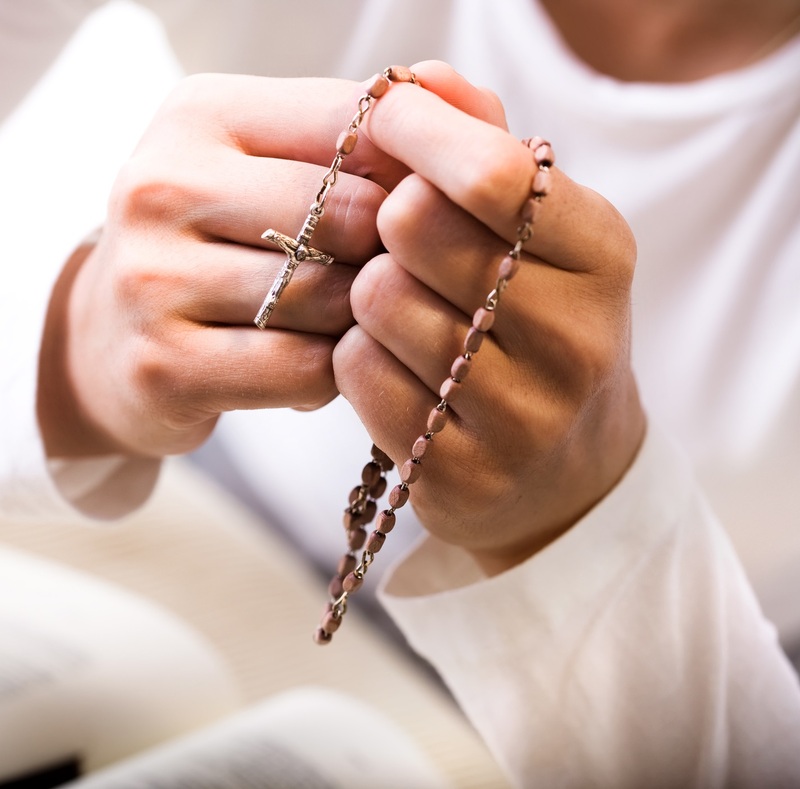 As an example, the problem of sexual abuse is not related to homosexuality, as the Church’s own Virtus training and academic research have stated for years. Reject the clerical culture of power. Prestige and protection of the hierarchy have usurped Jesus’ teachings of humility, mercy and self-sacrifice. The prioritization of protecting the institutional hierarchy from scandal has wounded and scarred the people of God, the Church. Commit to full disclosure of all instances of abuse and criminality. Let us hear the truth first from you rather than from law enforcement or the news media. Commission a published review, by an independent and professionally competent body of laity, of all recorded allegations of abuse or cover-up by bishops. Fully support any law enforcement investigation into previous, current and future allegations. Stop lobbying against the repeal of statute of limitations and stop requiring non-disclosure agreements as an outcome of settlements. Integrate lay people into the discernment of the future Church. The abuse and insidious cover-up would not have been pervasive if the laity overall and women in particular had had a stronger voice. As stated in the recent Synod, “It is a duty of justice”, to incorporate women into every level of decision making. Do not excuse criminal or abusive behavior with references to protocols acceptable in previous decades. Regardless of what social science and psychology said about treating abusers decades ago, there should have been no question that criminality and abuse had to be reported to the appropriate secular authorities. The repeated choice to not report was a moral failure. Commit to complete accountability for all bishops, establishing an investigation for bishops who are credibly accused of covering up criminal conduct of clergy or diocesan employees or ministers. That procedure should be independent of all bishops and should be led by lay people. Findings should be binding, with accountability of implementation reviewed by an independent lay commission. Review all aspects of the formation of seminarians going beyond the content of their instruction. Develop a culture of leadership that represents the people of God—both lay and religious —co-educated and prepared for collaborative ministry as servant-disciples. Examine the theology and practice of obedience and authority in the Church. The time to accept the status quo is gone. Require ordained clergy to be open to the truth of the pain inflicted by our Church. Ignoring the hurt delays the healing. We are blessed at St. John Neumann Parish. We have dedicated priests who clearly love the Church and who always demonstrate compassion and genuine pastoral concern. We stand together, within our parish, diocese, and the universal Church, committed to its mission and to our apostolic calling. With all of our hearts, we urge you to open your own hearts and minds to the need to break free of the systemic evils that have been plaguing our Church and which have painfully affected us all. During your Fall General Assembly, our parish will be praying continuously for the Holy Spirit to guide and inspire your prayers and deliberation.